Imagine you are sleeping on your own queen bed while the kids are sleeping on the U-shaped dinette slide out in the main living area. Then morning comes where you gather around the dinette with removable table for breakfast to discuss the day's activities. 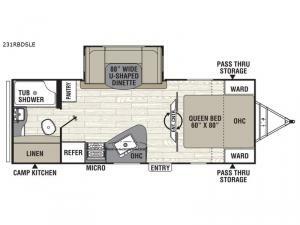 This travel trailer also provides a full rear bathroom including a large linen cabinet with countertop for extra toiletries. If you enjoy cooking outside then imagine making dinner for everyone on the camp kitchen. You will appreciate the storage in the exterior pass-through compartment for larger items like fishing poles, grilling utensils, and outside camping chairs. Take a look today! With any Freedom Express Liberty Edition travel trailer by Coachmen you will appreciate the ease of towing behind your family vehicle thanks to the aerodynamic front profile and the exclusive Stable-Ryd suspension. All the tanks are located under the floor to lower the center of gravity for increased storage capacity and improved handling down the road, and the fully enclosed, heated underbelly allows you o travel whenever you like. 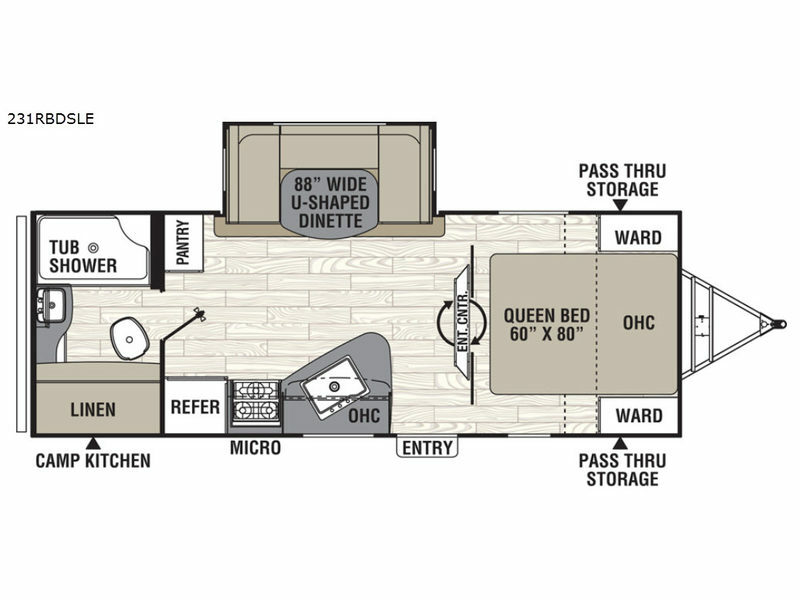 Come see how you have the freedom to explore with luxury in a new travel trailer today!